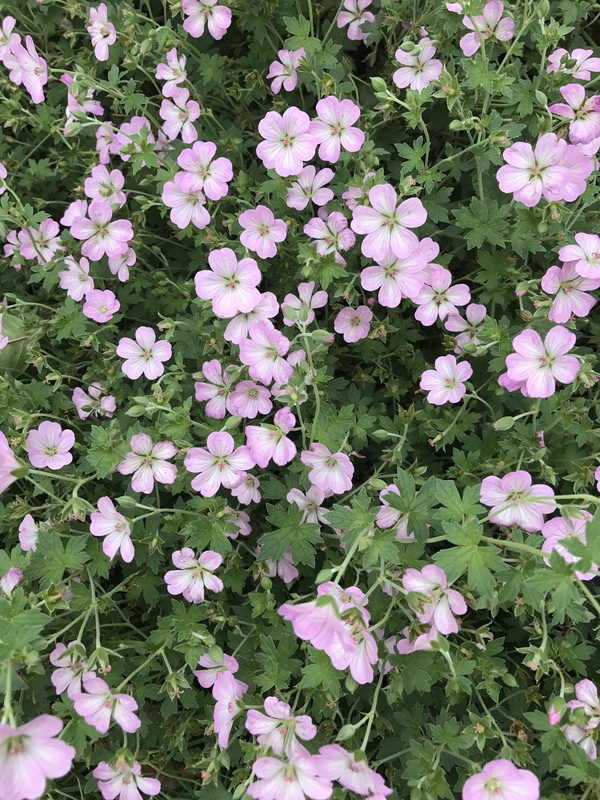 Geranium ‘Mavis Simpson’ sorry yes another Hardy geranium but she is a cracker! Been flowering since May with me and still lots to come, will trim her back in a couple of weeks, can’t bring myself to do it to her looking as good as this! Rosa ‘Louis XIV’ well for those who have followed my blog for a while, will remember this one from my rose watch and it’s still going so strongly now, must be on 5th flowering now, such a beautiful rich colour and brilliant scent and who said heritage roses only flowered once! Stachys Byzantina ‘Big Ears’ time for a bit of foliage and let’s be honest, this is a cracker, I love the softness, the size, the colour indeed everything about this plant I love, makes brilliant ground cover too! Verbena bonariensis. Can’t really say too much about this plant that’s not been written before, it’s a beautiful plant that almost gives a purple haze though the borders, I just love it and it’s not just me either, butterflies and bees are also mega fans. Previous post: Keeping your Hardy geraniums looking good! Phew! What a relief! I already have a Tulbaghia in the cold frame waiting for it’s spot to be fully prepared (border clearing and replanting job going on here). And Verbena in the ground already. I’d want Stachys but have failed in the past as it doesn’t like my soil. And the postman just left a package from Niwaki. Happy! Augmented clay. In the 3 square metres of border I’m currently working on I’ve dug in about 400 litres of coir which, I find, is the best soil conditioner there is. I’m about half-way round the garden with my augmenting at the mo.